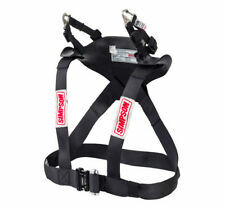 The Hybrid Pro LITE is supplied ready with M61 quick release tethers / anchors. The Hybrid Pro Lite, is the lightest Hybrid Frontal Head Restraint available. The device features a powerful design that is 30% lighter than the original Hybrid Pro. Hybrid Sport FHR Device - Quick Release Tether. The Hybrid Sportis SFI approved and FIA certified however in Child and Youth sizes it is just SFI 38.1 certified. FIA & SFI Approved. Plus, they provide you with maximum comfort and maneuverability. Hybrid Sport FHR Device - Standard Tether. The Hybrid Sportis SFI approved and FIA certified however in Child and Youth sizes it is just SFI 38.1 certified. FIA & SFI Approved. Plus, they provide you with maximum comfort and maneuverability. Individual performance leather grip-points are strategically placed to provide exceptional dexterity and natural wheel grip. The Predator also features an extra long bunch free gauntlet and knock out style that is sure to get you noticed. Inset pant pockets. Our depth of knowledge and understanding of the performance industry reflects in the pride and winning attitude of our team at Rocket. Straight leg cuffs. SFI 5 rated for exceptional fire retardancy. Our depth of knowledge and understanding of the performance industry reflects in the pride and winning attitude of our team at Rocket. Matte finish woven fabric. Bank: Westpac Bank – Five Dock. (b) It is unopened, unused and in its original condition;. Our depth of knowledge and understanding of the performance industry reflects in the pride and winning attitude of our team at Rocket. (b) It is unopened, unused and in its original condition;. CarbonX Ultimate Underwear is made from double jersey interlock knit comprised of a patented blend of high-performance fibres. Our depth of knowledge and understanding of the performance industry reflects in the pride and winning attitude of our team at Rocket. Box Quilt Inset Pocket. Our depth of knowledge and understanding of the performance industry reflects in the pride and winning attitude of our team at Rocket. Shoulder blade and lower back gusset. Straight leg cuffs. Our depth of knowledge and understanding of the performance industry reflects in the pride and winning attitude of our team at Rocket. Bank: Westpac Bank – Five Dock. Under no circumstances will parcels be left unattended or without a signature from the receiver. Our depth of knowledge and understanding of the performance industry reflects in the pride and winning attitude of our team at Rocket. Bank: Westpac Bank – Five Dock. Short sleeve crew neck top. Under no circumstances will parcels be left unattended or without a signature from the receiver. Our depth of knowledge and understanding of the performance industry reflects in the pride and winning attitude of our team at Rocket. Matte finish woven fabric. Bank: Westpac Bank – Five Dock. Our Mission. FIA Certification - INCLUDED. QR QUICK RELEASE Tethers and D-Ring kit as standard. Features SFI Certification- INCLUDED. 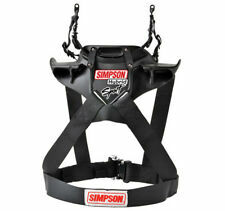 Seat Belt Anchor System available with all tether systems. The new carbon fiber Head and Neck Restraint, the Hybrid Pro Slide, is the latest in the series to gain FIA homologation. The new design is more stable and even lighter than the already super light Hybrid PRO.